National Marine Bankers Association officials who recently took part in the Consumer Bankers Association&apos;s "CBA Live" annual lending conference in Fort Lauderdale say many who attended were interested in learning more about lending to the marine industry. Attending the conference were NMBA president Karen Trostle of Sterling Acceptance, Jim Foley of Trident Funding, and immediate past president Jim Coburn of Coburn & Associates. During the three-day meeting they networked with a number of the 800 who attended to provide details on the NMBA&apos;s annual conference, marine lending workshop and provide an updated market overview. The general view of lenders at the conference reflected what many of their bank economists have been projecting. They expect a slight uptick in loan demand during the next year (59 percent expect it to increase in the next 12 months) but believe growth will be tempered by the overall economy (seen as "weak and wobbly" during the next two years). "We talked to lenders not currently serving the market with an interest in learning more about the composition of boat loan portfolios. They assumed their portfolio would reflect the type of boating in their market area, but needed a basic understanding of lien perfection and were curious about borrower profiles," Trostle says in a statement. "Others who were current or former boat lenders were more focused on the state of the boating industry and collateral values," she added. Nordic Tugs has announced that it will temporarily close its Burlington, Wash., manufacturing plant. Most employees will be furloughed, according to a company statement, but a skeleton staff will remain to field customer inquiries and maintain the plant to keep it prepared to resume production when business improves. The action "has been forced by the ongoing effects of the Great Recession and the reluctance of customers to order new boats," according to the manufacturer. In Massachusetts, the Edey & Duff boatyard, founded in 1968 by Mait Edey and Peter Duff, ceased operations. The company was unable to continue in business after the unexpected death last December of its longtime general manager, Dave Davignon, according to local media reports. During its 40-year run, the yard turned out such classic designs as the Sakonnet 23, the Doughdish, the Stone Horse 23, the Stuart Knockabout and the Fatty Knees dinghy, as well as the Hunt-designed Conch 27 center console. The boatbuilding division of British company C.J. Broom & Sons is closing and as many as 70 jobs will be lost. But Broom Boats Ltd., the boat service company that operates Broom&apos;s marina, will continue to operate with its 50 staff members, according to local media reports. The action is part of a reorganization after the sale six weeks ago of both companies to businessmen Mark Garner and Akis Chrisovelides. The majority of marine distributors have seen an increase in the total sales volume of marine accessories this year, and most expect that trend to continue in 2011, according to the National Marine Distributors Association&apos;s recent state-of-the-industry survey. Fifty-five percent of those who responded say the total sales volume of marine accessories was up this year, compared with 2009, and only 18 percent say it was down. Eighty-two percent expect the total sales volume to go up in 2011, compared with this year. Because of those sales projections, 36 percent say they expect to maintain larger inventories next year than they currently have; 55 percent expect inventory levels will remain the same. Fifty percent say the number of dealers they are servicing in 2010 is the same as last year, while 27 percent reported a decrease and 23 percent were up from 2009. Respondents were split on the average size of dealer orders this year, compared with last year - 36 percent are seeing increases, 32 percent are seeing a decrease, and 32 percent say the average order size is the same as it was in 2009. Forty-one percent of distributors say the number of dealers who either declared bankruptcy or closed this year, compared with 2009, was down or the same. Only 18 percent say that number had increased. There remains a connection between boaters and their dogs. 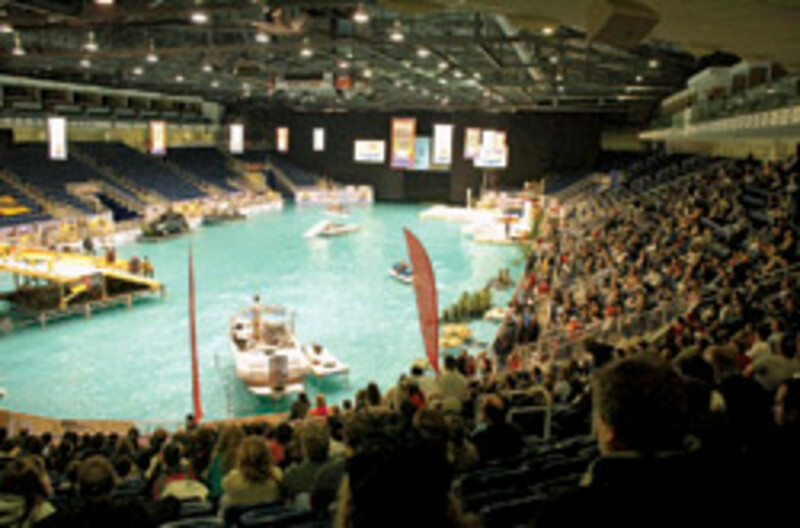 The 2011 Toronto International Boat Show is honoring water dogs who stand out by performing tricks with its "How Does Your Dog Chill?" contest. Participants must film their pooch getting "wet and wild" on the water - boating, water skiing, swimming, diving or performing other tricks. Five finalists will be selected to perform live Jan. 15, the second Saturday of the show. Entries can be submitted at www.chillonline.ca/torontoboatshow. Paint manufacturer relocates to S.C. The move offers faster access to shipments from Germany through the Charleston port of entry, decreased delay for West Coast shipments via direct access to Southern trucking routes, closer proximity to the hub of its U.S. customer base and better resources for their employees, the company says. "By expanding in South Carolina, we will strengthen our North American market presence and operate in a strong and business-friendly environment," Michael Grau, president and CEO of Mankiewicz Gebr. and Co., says in a statement. When it comes to competitive sailors, you must dismiss their political philosophy. The most likely reason Sen. Kerry is keeping his sailboat in Newport, R.I., rather than his home state of Massachusetts is competition. Newport is the heart and soul of big-boat sailing - nowhere else on this side of the pond comes close. I seriously doubt he even thought about taxes in the berthing decision. Next, if you are marketing to sailors, you need to know what makes them tick or which buttons to push, and why they make decisions. Trust me, having been an avid sailor at many levels, politics - state representative or not - will not be a consideration in the purchase of the vessel. Salient decisions are made by ratings, by designers, by the possibility of those little engineering and tactical nuances that win races, seldom who or where the boat was built. If you want to sell sailboats to sailors, you sure better learn just what is important to them. The concept that any public official of any level should defer buying the product he wants because of current rampant nativism flies in the face current globalism and the hearts and souls of sailors. Right now the epicenter of international competition is in New Zealand. For Kerry and other wealthy competitors, money, taxes or politics do not fit into the purchasing equation, and they should not be criticized for it. Better to energize avid competition here and bring back the America&apos;s Cup glory. This cannot happen by carping - it can only happen by hard work and dedication. Wisconsin Gov. Jim Doyle announced $5 million in performance-based incentives for Mercury Marine to bring 200 new jobs to Fond du Lac. Mercury Marine originally planned to locate the 200 assembly jobs in Mexico, but Doyle worked with the company to ensure that those jobs came to Wisconsin instead, according to a statement from the governor&apos;s office. "It is great that Mercury Marine has agreed to move these 200 jobs originally slated for Mexico to Fond du Lac," Doyle says in a statement. "The company&apos;s decision recognizes the strength of Wisconsin&apos;s work force and economy and shows that Wisconsin can compete with Mexico or any other location in the world to attract new jobs and investment." In other Mercury news, the company says it&apos;s on track to move MerCruiser engine and drive assembly operations from Stillwater, Okla., to its headquarters in Fond du Lac in 2011. The company initially announced the move last September. 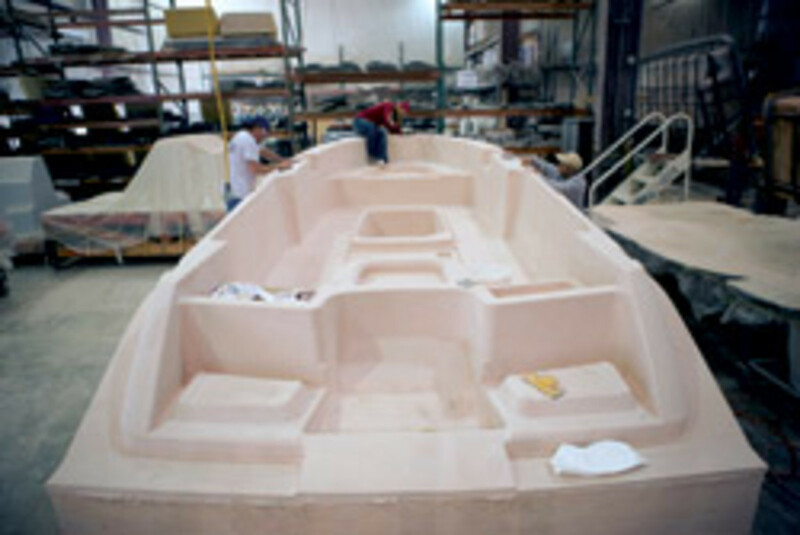 The moving of MerCruiser castings and machining operations will be concluded by early 2011 and assembly operations will be moved to Fond du Lac by the end of 2011, at which time the MerCruiser facilities will be offered for sale, the company says. "This move will have no impact on our product quality or supply," Mercury Marine president Mark Schwabero says in a statement. Everglades Boats says a report by Info-Link Technologies shows it has increased its U.S. market position in fiberglass boats over 24 feet. According to Everglades, the report shows it has jumped from eighth to fourth in this category. "This jump in market position from 2009 over 2008 is the largest increase in the history of the company," company president Stephen Dougherty says in a statement. "Time spent in the field with accounts and salespeople is invaluable," he says in the article. Kendall worked at Turning Point alongside his son Adam and wife, Anne. "My dad taught me early on that relationships are vital. He was a true salesman and cared about people in the industry. He is deeply missed, and we appreciate the kind words and fond memories our friends have shared about him," Adam Kendall says in a statement. Elsewhere, James H. Rich, owner of the James H. Rich Boat Yard in Maine, died Aug. 10. He was 78. Teleflex Inc. announced that it has prepaid all of its outstanding senior notes issued in 2007, which had an aggregate outstanding principal amount of $196.6 million and would have matured in 2012 and 2014. The prepayment of the 2007 notes was completed as part of the company&apos;s previously announced debt refinancing, pursuant to which Teleflex also repaid $200 million in term loan borrowings under its senior credit facility and extended the maturities of a portion of its outstanding and available borrowings under the credit facility from 2012 to 2014. "Our new structure keeps our cost of capital unchanged while providing us with increased financial flexibility and access to more capital to support the company&apos;s future growth initiatives," chairman and CEO Jeffrey Black says in a statement. Nautic Global Group recently launched four new owners clubs (Rinker, Godfrey Pontoon Boats, Hurricane and Polar Kraft) to enhance the boating experience of its customers. "This is our way of showing appreciation to our loyal customers, who are passionate about their boats and boating lifestyles," says Steve Tadd, director of marketing for Nautic Global Group, in a statement. "It&apos;s also a great way to introduce new buyers to all that we have to offer." Membership in any of the clubs includes access to special offers from Nautic Global Group and its partners. Through the owners clubs, members will be able to interact with the manufacturer and other owners of similar products and will receive event notices and new product updates. Membership also includes a complimentary subscription to each owners club&apos;s quarterly e-newsletter and access to a private website that details the available resources and benefits. J.J. Taylor & Sons Ltd., owner of the Saga brand, and Bruckmann Yachts entered into a strategic alliance to have the Saga line of oceangoing sailboats built by Bruckmann at its yard in Mississauga, Ontario. The Saga line consists of the Bob Perry-designed 35, 43 and 48 and the Tony Castro-designed 409. Saga will offer the line on a semicustom, build-to-order basis. "Bruckmann is a near legendary yard and these designs are near and dear to me. I am very happy to hear that Saga will be working with Mark Bruckmann to continue the legacy of these breakthrough sailboats," Perry says in a statement. An auction was held this summer for equipment and fixtures at Sumerset Houseboat&apos;s Somerset, Ky., headquarters, the auction company and the company&apos;s bank confirmed to Soundings Trade Only. Jerry Claunch, an executive vice president with Citizens National Bank, which was the company&apos;s lender, says Sumerset ceased operations in October 2009. The bank still owns the company&apos;s building and trade name and is making "active efforts" to sell those, he says. "They tried everything to keep things going and basically their sales died, and so that was really the issue," Claunch says.